What makes a local business successful? It’s all about conversions. It’s about how many people walk in the door, versus how many people actually make a purchase or hire a service. The sheer volume of competition today makes it harder and harder to convert consumers into customers. To overcome the competition, local business owners need to implement digital marketing strategies like local SEO. So indeed, the local business panorama is more competitive than ever. As if that weren’t enough, consumers are also changing. Today they are super-empowered consumers who want it now– fast and accurate. Traditional advertising is no longer the best way to reach potential customers throughout every generation. For instance, did you know that “near me” searches went up 900 percent since 2015? This powerful stat tells us that consumers are more and more interested in buying goods and services from local businesses and service providers. That’s very exciting – so what can we do about that? To capture those local consumers, businesses and brands need to step up their local SEO game. 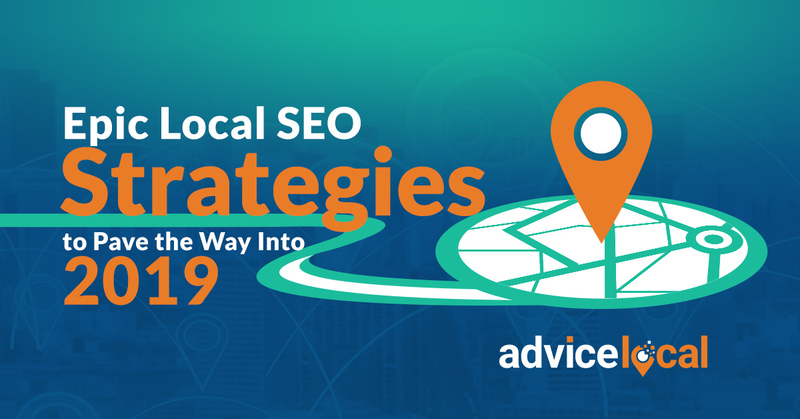 But don’t worry, we have all the intel in the Epic Guide to Local SEO – plus, we broke it down for you in this epic infographic. But a little inconsistency is just a little thing, right? Well… not exactly. When a business’ online information is not consistent, it creates confusion among potential clients. Confusion is not something you want here. Did you know that 68 percent of people would stop using a local business if they found incorrect information in online directories? This shows why it’s essential for a business to have a local presence management strategy in place. It’s important to have their location information rendered as accurately as possible, and to have it out there as fast as possible – i.e., managed and maintained in real-time. Here’s more on that “little thing” called inconsistency: 73% of consumers have reported they lose trust in a local business that displays inaccurate information online, and 67% report they lose trust in a brand if they get lost en route to their location. Along with correct listings in local citations and directories, content is essential for local businesses. Also, content must present certain qualities: It should be accurate, relatable, educational, and provide value to the customer. It should also be optimized with the right keywords. Why? Because it won’t matter how good the content is if no one can find it. If the content fails to demonstrate expertise, authoritativeness, and trustworthiness (E-A-T), it will place lower in search results – and in the hearts and minds of the consumers we are trying to attract. Local SEO’s goal is to have a local business’ website claiming the top positions on search engines, so they can get found easily. But building a strategy and optimizing takes time. Some businesses do not have that luxury, which is why pay-per-click (PPC) is another good strategy. It will help businesses get found when they need it the most – when they are having a special offer, for example. The best strategy integrates on-page, off-page, and even includes a well-optimized PPC campaign. Reviews are another key piece that factors into local SEO. If you’ve ever heard the saying “any publicity is good publicity,” then you understand the value of reviews for a local business. Did you know that 63.6 percent of consumers say they are likely to check online reviews on Google before visiting a business? Good reviews are ideal, but bad reviews are an opportunity for the business to make things better with customers. Approached the right way, it’s a win-win. At one time, we only had to worry about helping local businesses get found on desktop and mobile. This is absolutely no longer the case, as Siri, Alexa, Google Now and Bixby are getting more and more popular, and smarter and smarter. But again, they are only as smart as the data provided to them. Local businesses and multi-location brands cannot get found easily on voice-activated devices unless they are optimizing their content and business listings for this particular feature. Here’s an interesting stat from ComScore, that projects 50 percent of all searches being done by voice in 2020. I’ve said it before, but may I say again? Voice search is here to stay. These are only a few key points about creating an epic local SEO strategy for local businesses. We have a complete guide (along with the powerful infographic below) to help you along the way. Share it with your friends, clients and social networks. The embed code is below. Download the complete Epic Guide to Local SEO today. Plus, we have an epic local SEO team and partner solution to help you out today. Request a demo to learn more. Please include attribution to AdviceLocal.com with this graphic.